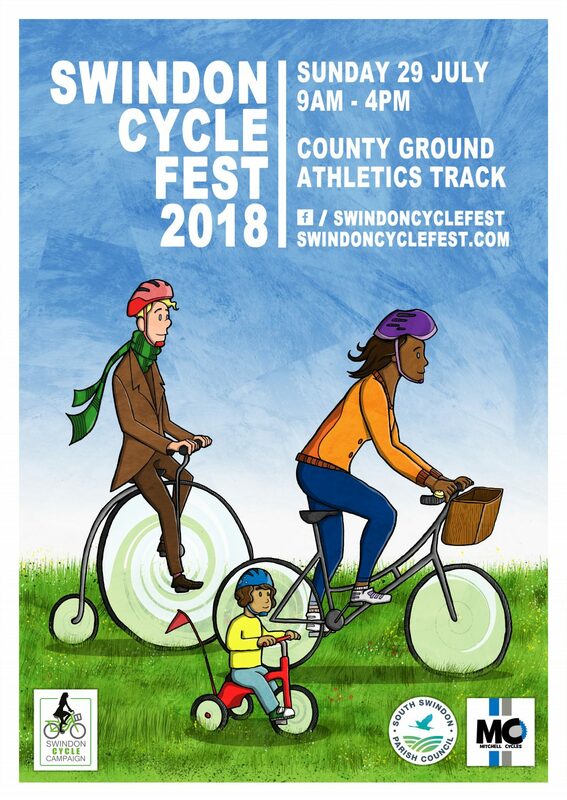 Swindon Cycle Fest is a free to attend community event to celebrate all the great opportunities to get cycling in Swindon! The event is organised and run entirely by volunteers from the local cycling community with the support of Mitchell Cycles, Swindon Cycle Campaign and South Swindon Parish Council. The festival first took place on Sunday 17th July 2016 at the County Ground Athletics Track and was a great success. This year we are looking to build on the last event since we will also be celebrating Swindon’s oldest family-run bike shop’s 50th year of business. There will be opportunities for all ages and abilities to try out different bikes and take part in a wide range of activities and bike rides. Local cycling clubs, organisations, bike manufacturers, local businesses will all be there. We are also planning a ‘bike jumble sale’ and a programme of races for children. Watch this space … we’ll be updating the page soon! If you’d like to find out more about Swindon Cycle Fest or get involved please use the contact form below.